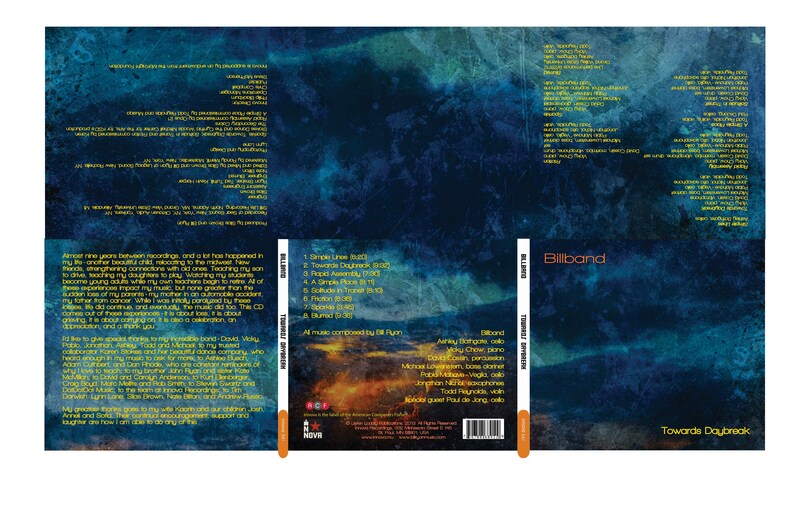 A lot has happened since the 2004 release of Billband’s debut album on innova, Blurred. 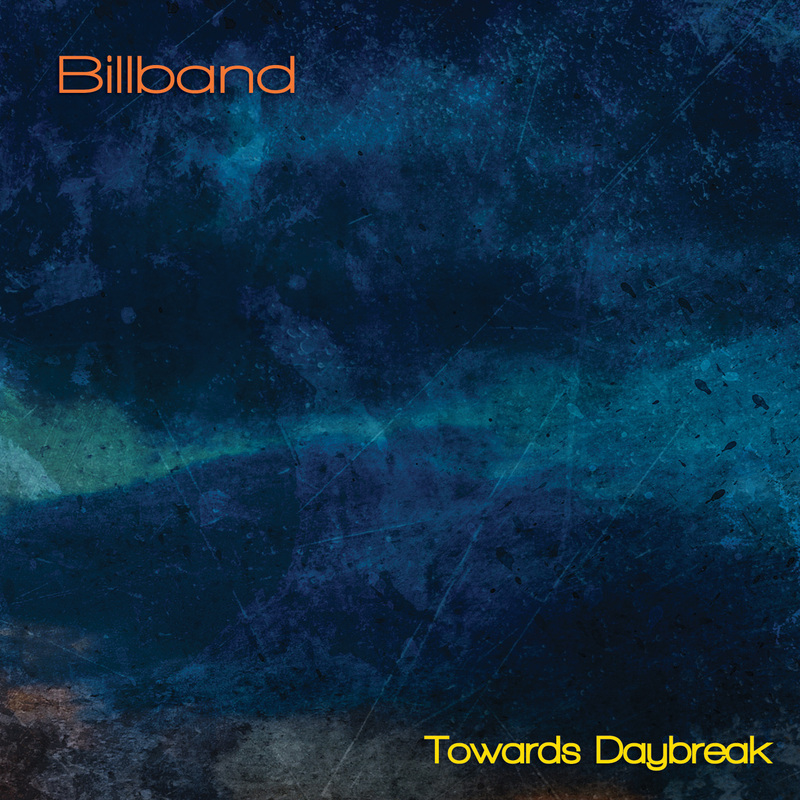 Where that album was called “gritty and funky” by Gramophone, the group’s new album, Towards Daybreak, turns more personal and showcases the broad palette of composer/leader Bill Ryan. Though still firmly rooted in the minimalism of Steve Reich and Terry Riley (Ryan is the founder and director of Michigan’s Grand Valley State University’s New Music Ensemble, the group behind innova's releases of In C Remixed by Riley and Music for 18 Musicians by Reich), Towards Daybreak is by turns contemplative, roiling, spacious, and aggressive, reflecting experiences in Ryan’s life from the birth of a child to the loss of his parents. Opening with the elegiac “Simple Lines,” the ensemble of Ashley Bathgate (cello), Vicky Chow (piano), David Cossin (percussion), Michael Lowenstern (bass clarinet), Pablo Mahave-Veglia (Cello), Jonathan Nichol (saxophone), and Todd Reynolds (violin) leads the listener through the album’s open doors into a lush work for strings that sets a reflective tone. The record then builds slowly, piano entering alongside vibraphone on the title track before the sandy susurration of brushed drums opens up “Rapid Assembly.” As the rhythms settle into a percolating groove, this is where the album begins to open up its depths. Grammy-winner Silas Brown engineered and co-produced the album with Ryan, their third collaboration, and the attention to the sound shines through. The strings are rich and woody, the percussion viscerally captured, the winds as present as if in your living room. As a whole, Towards Daybreak blends the precision and craft of the best minimalism with the distinct humanism and interplay of a small chamber group. This is a music that reveals itself gradually, working its way deeper into you with each listen.